Timothy D. Fournier currently serves as Chairman, Chief Executive Officer and a Principal of Conifer Realty, LLC. He assumed the role of Chief Executive Officer in 2006, where he now leads a team of over 600 employees in the development and construction of several new projects, in addition to the management and ownership of over 220 apartment communities, representing nearly 15,000 multi-family units in four states. 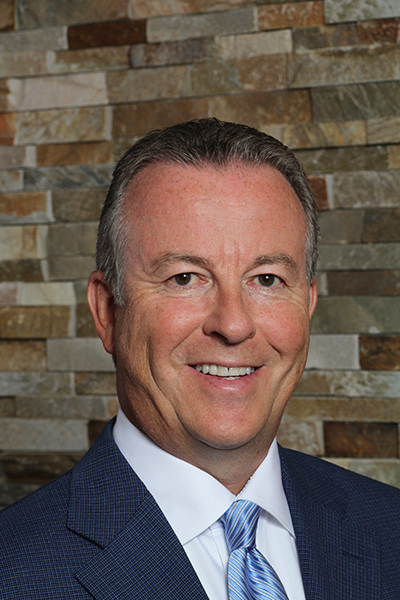 Throughout his 30+ years at Conifer, Mr. Fournier has held many positions and titles, including COO from 2001 to 2005, Executive Vice President of Conifer Realty from 1996 to 2000 and the Vice President of Finance for Conifer Development, Inc. from 1986 to 1995. Prior to starting his journey with Conifer, Mr. Fournier worked for Coopers & Lybrand, where he received his license as a Certified Public Accountant. During his tenure there, he concentrated in real estate accounting and taxation. He also served as the Chairman of the Real Estate Committee and the Director of Recruiting. Mr. Fournier is a member of the American Institute of Certified Public Accountants and the New York State Society of Certified Public Accountants, former President of the Ronald McDonald House Charities Board of Directors, an Honorary Board Member of the Golisano Children’s Hospital at Strong, the Chairman of the New York State Association for Affordable Housing (NYSAFAH), a Member of the Regional Directors Advisory Council of M&T Bank Corporation, and Vice Chairman of Nazareth College in Rochester. Additionally, Tim received the 2018 Rochester Small Business Council Business Person of the Year Award.